According to J C Sauares all cats are cool because of their appearance and manner. 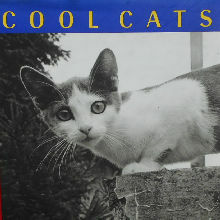 This book contains photos, stories and illustrations about "cool cats" as told by Sauares. The hardback book is 7 3/4" square, 74 pages, copyright 1998. Previously owned but in good condition.